Double Crochet. So far we’ve learned how to make a slip stitch, chain, single crochet and half double crochet. 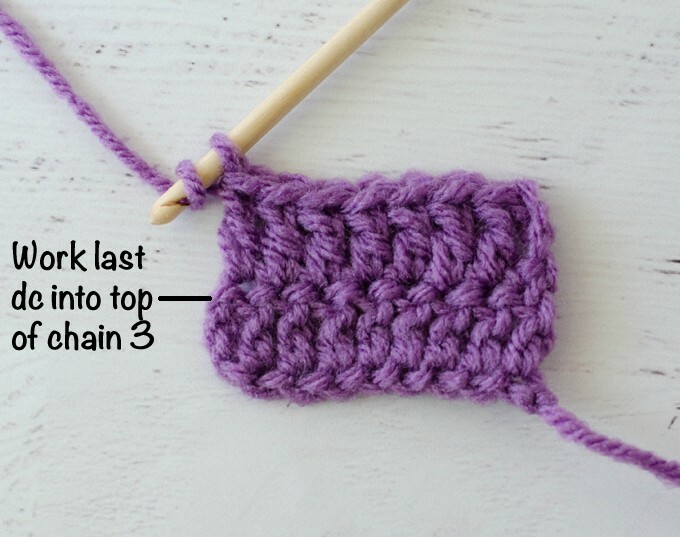 Double crochet is abbreviated as “dc” and is one of the most popular and frequently used stitches. 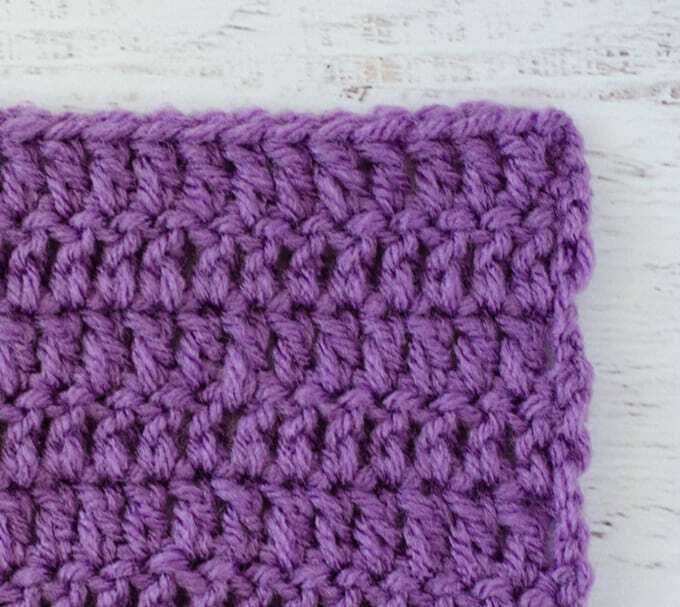 This stitch creates a more open crochet fabric compared to the single crochet and half double crochet stitches. 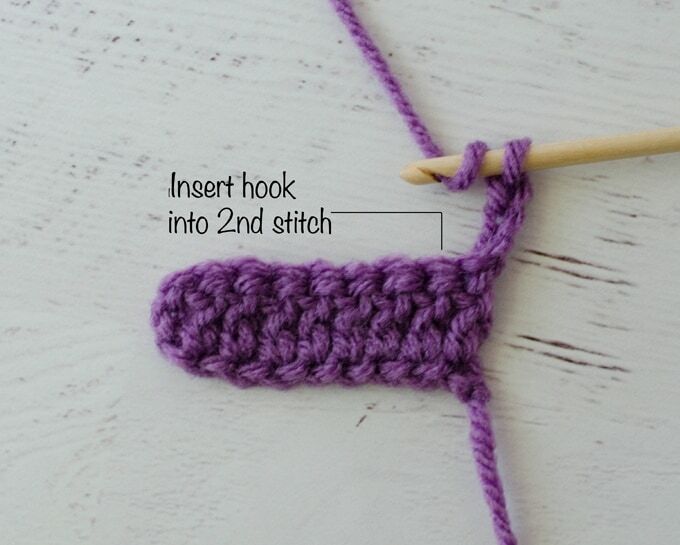 Because of it’s tall height you can make quick progress in your crocheting! 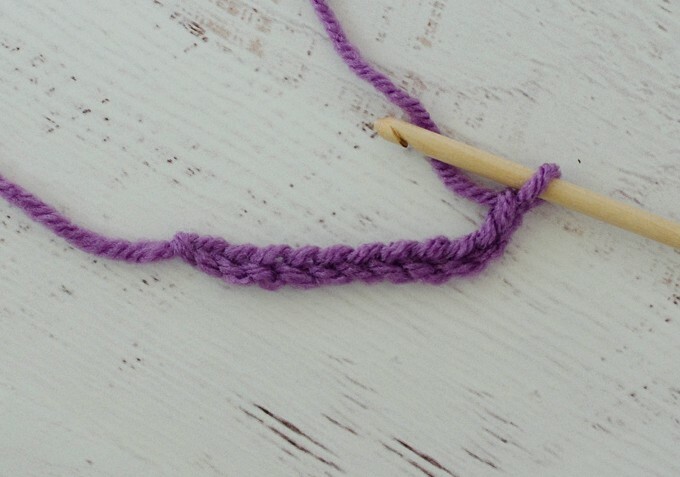 Follow this simple tutorial to master the double crochet stitch! To start, make a foundation chain. If you are following a pattern, it will list the required number of chains to make. Next, wrap the yarn over the hook as in the photo above. 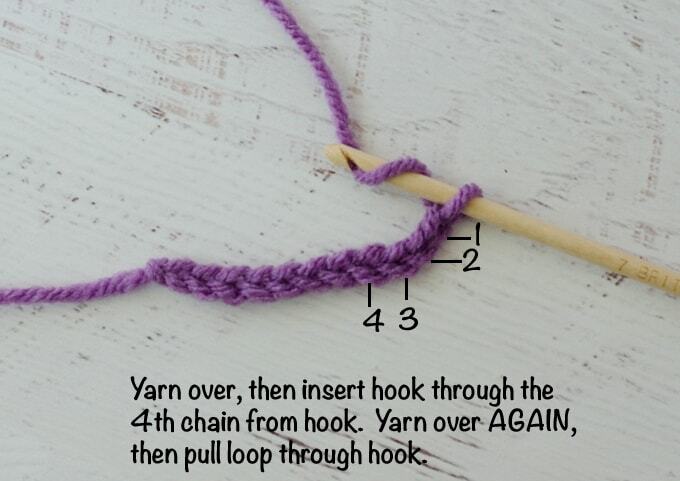 Insert the hook into the 4th chain from the hook, and then yarn over again and pull that loop through the hook. Now there are 3 loops on the hook (see above). 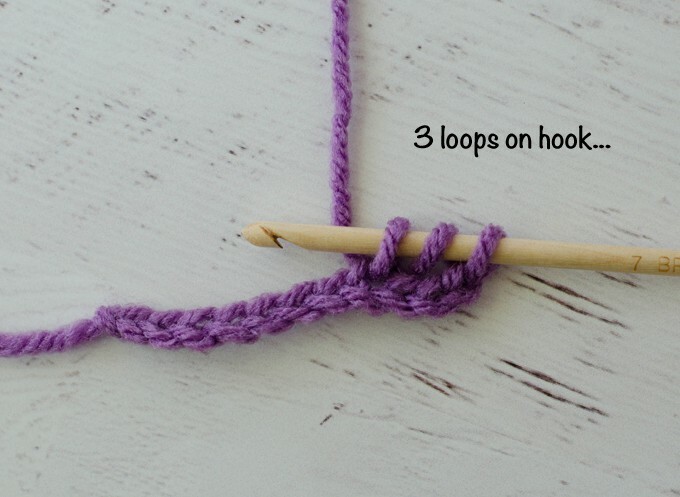 Yarn over and then pull through the first 2 loop on the hook. This will leave 2 loops on the hook. 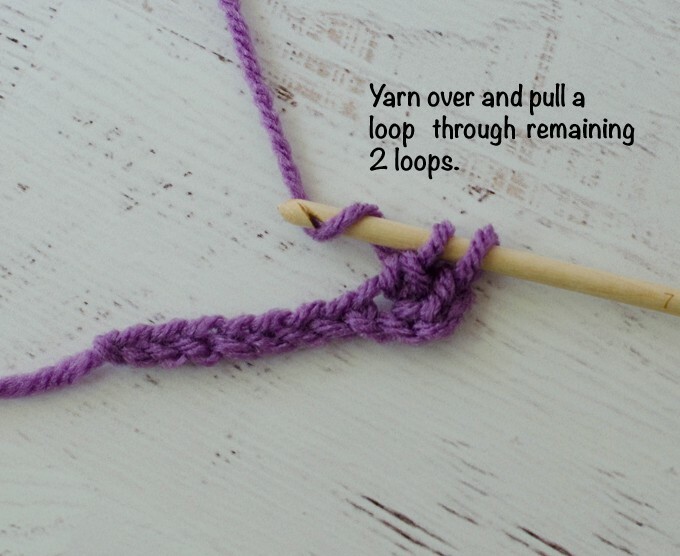 Yarn over again and pull the loop through the last 2 loops. One double crochet is done! Now take a minute to look at the work. There are 3 skipped chains at the beginning of the row. This “counts” as the first stitch in the row. Then there is the completed double crochet just made. Work 1 double crochet into each chain in the same manner. 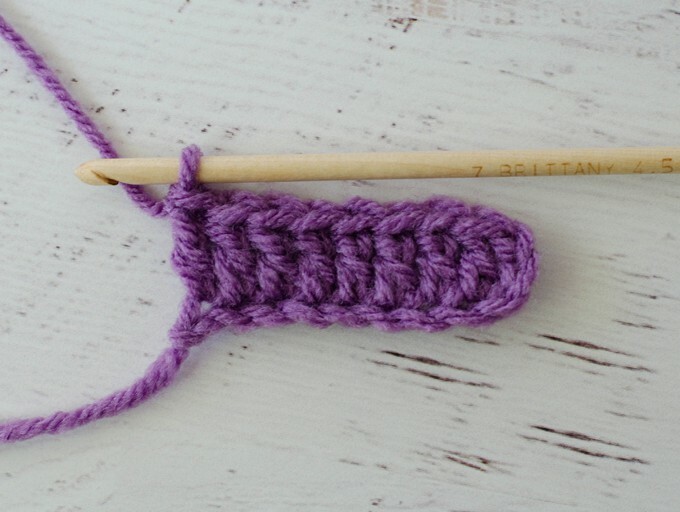 Remember to start each stitch with a yarn over before inserting in the next stitch. 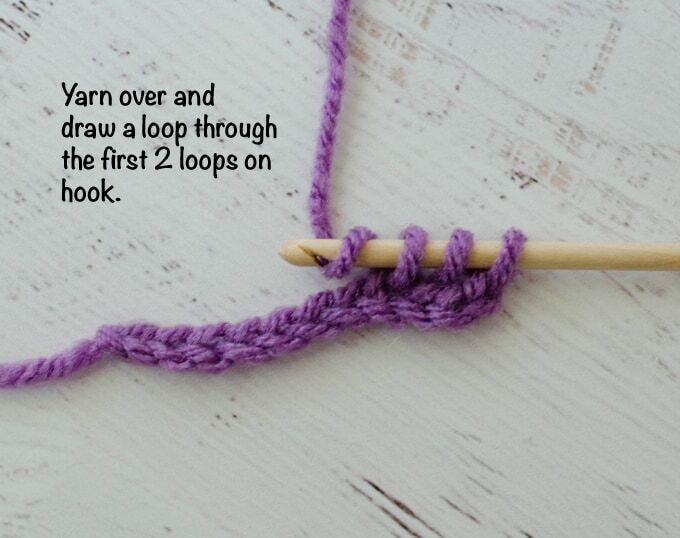 Then the yarn over and pull through 2 loops, yarn over again and through the last 2 loops. After the last stitch in the row is done, turn the work so that the loop is now on the right side of the work. You are now in position to start the next row. Chain 3 to start the new row. The chain 3 always counts as the first stitch in the new row. 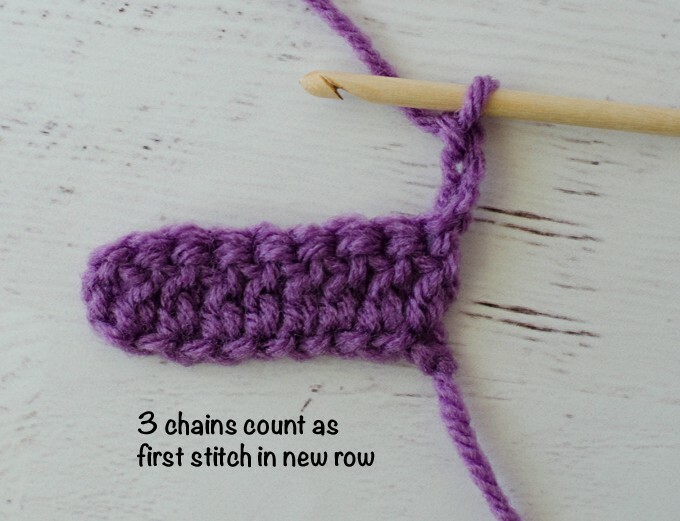 The first double crochet of each row is worked into the 2nd stitch. Work a dc into each stitch in the row. 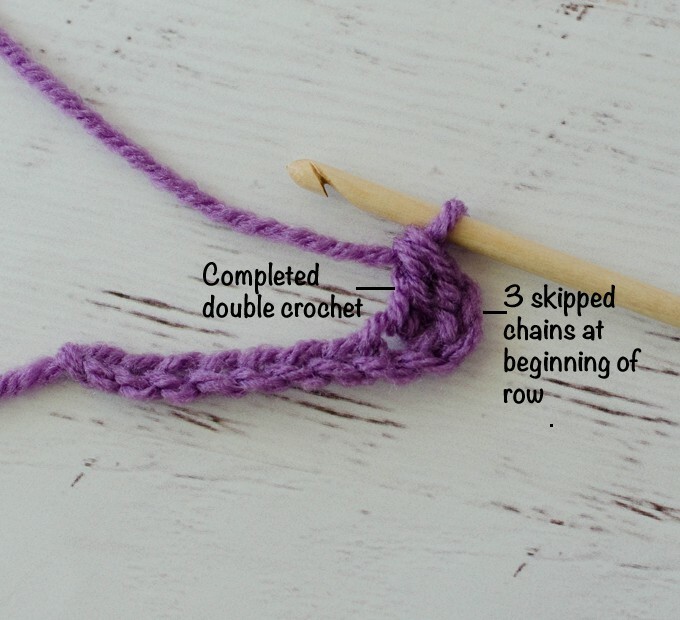 The last double crochet is worked into the top of the 3 chains from the previous row. This is very important. 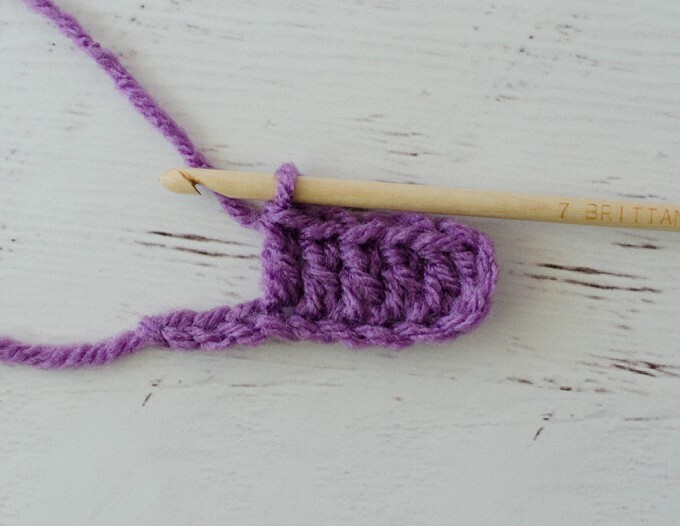 By being mindful of where the first and last double crochet stitches of each row are worked, the edges will be nice and straight. If the work seems to meander to the right or left, check over the work to make sure that the first and last stitches are worked in the properly place. Take some time to practice this stitch. As you practice, it will become easier and the stitches will become more even.